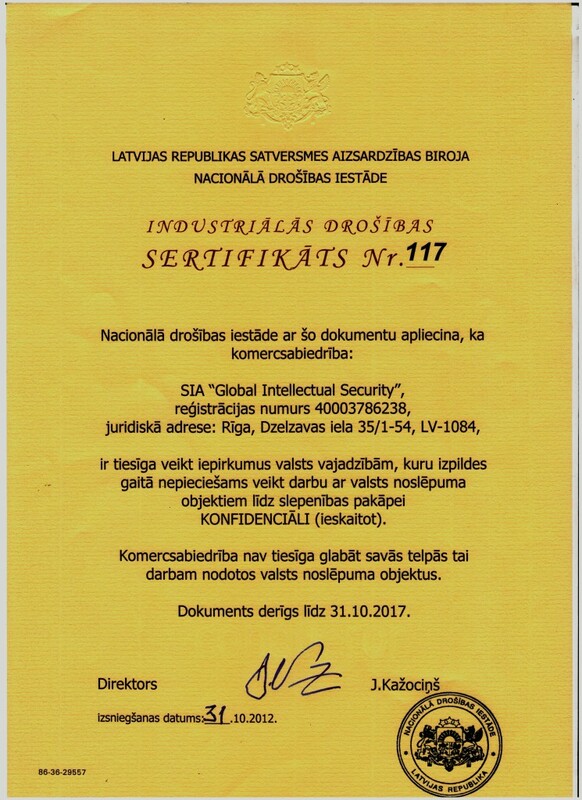 15 years of excellent work. 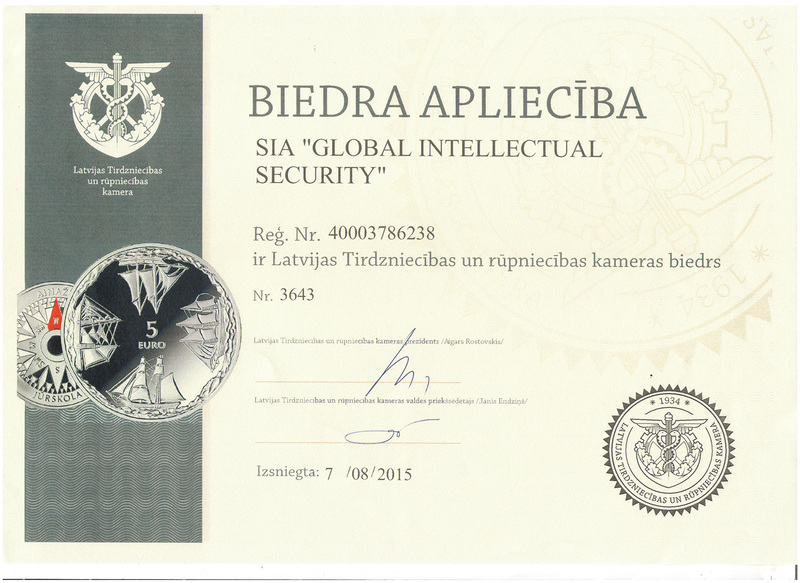 Insurance for 750 000 Eur. 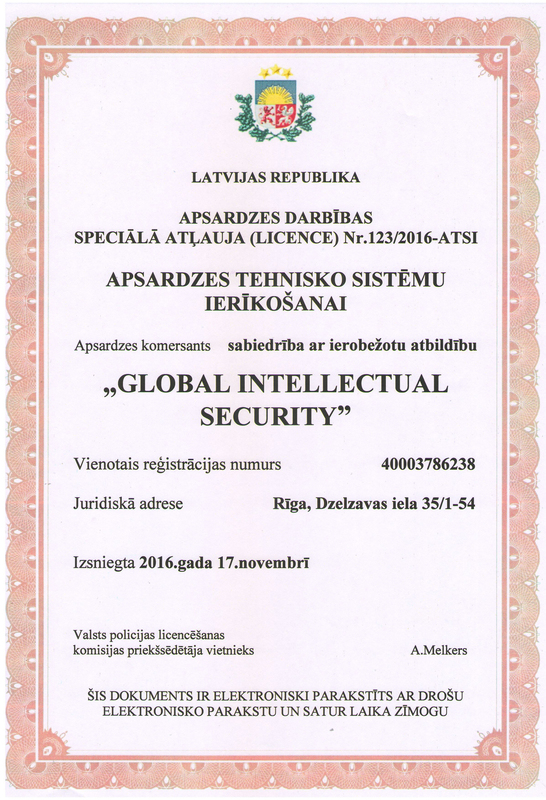 Full material responsibility for client`s loss. 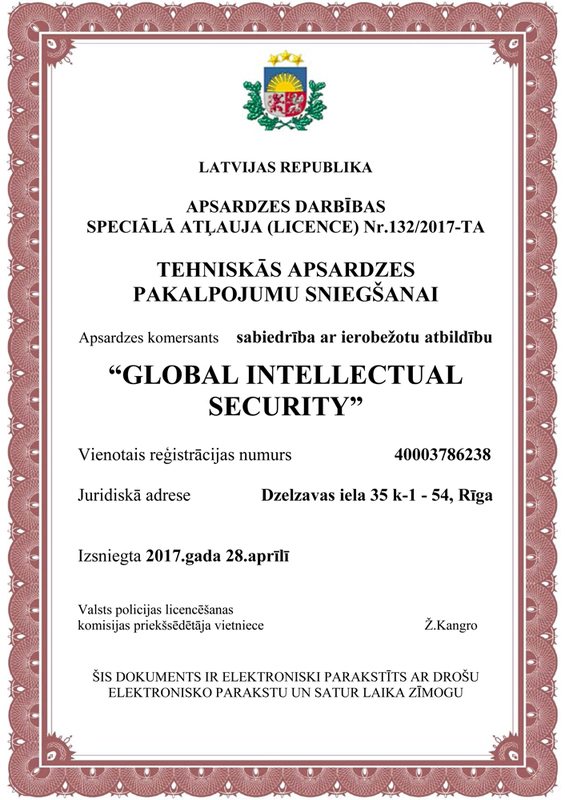 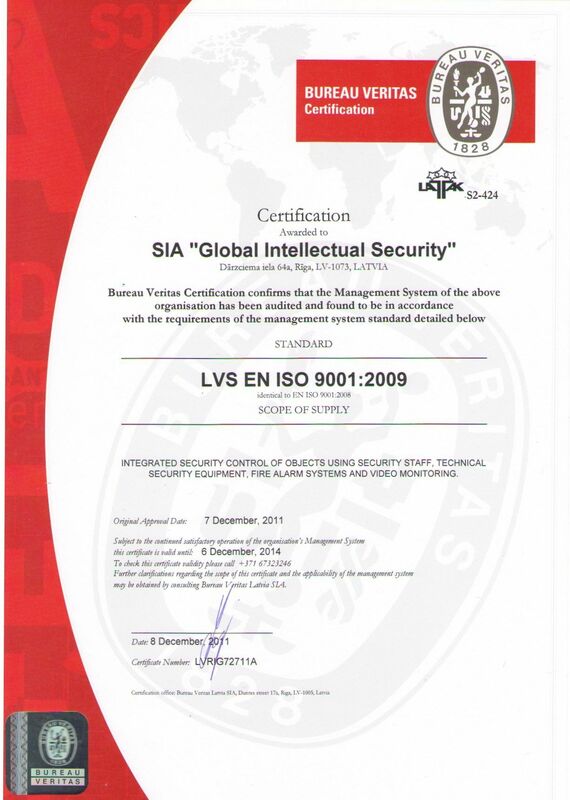 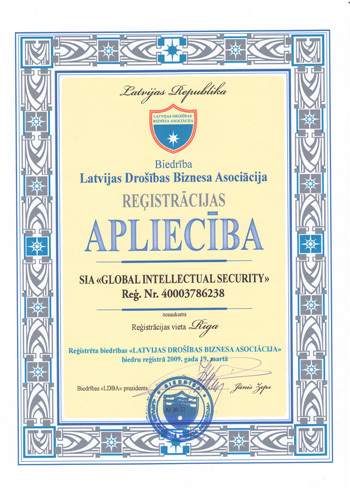 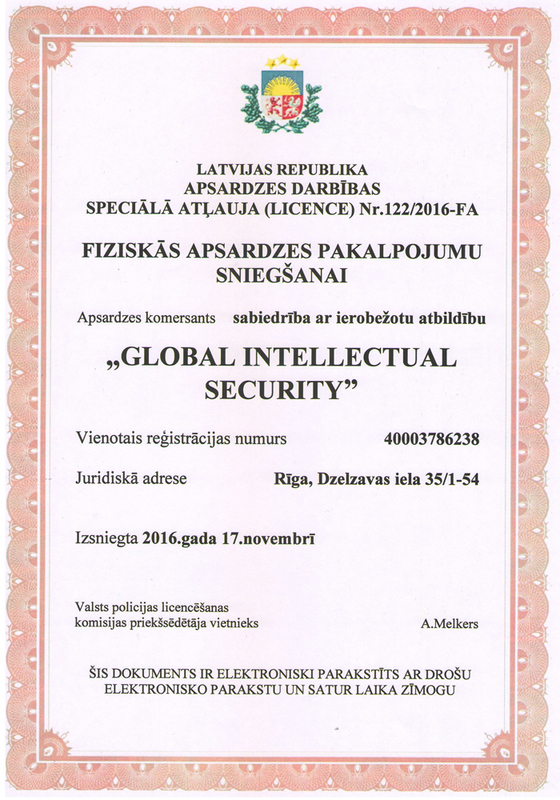 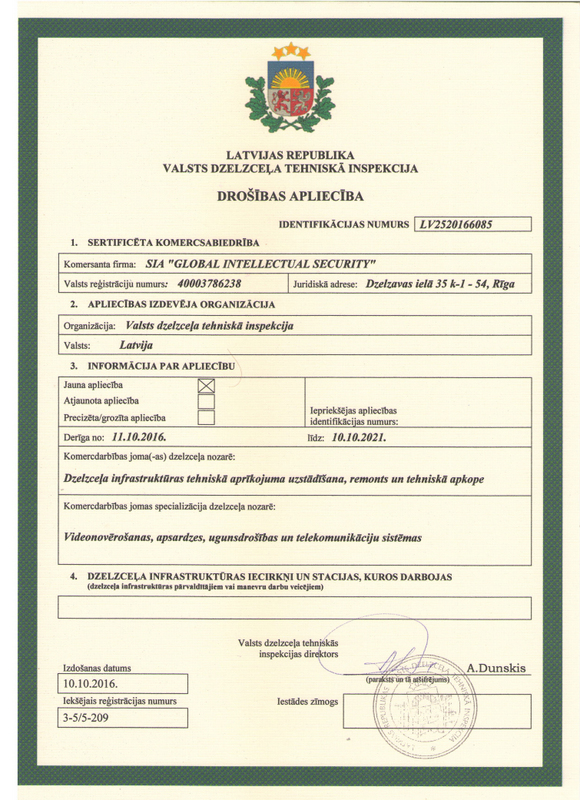 The company “Global Intellectual Security” is the only security company in Latvia. 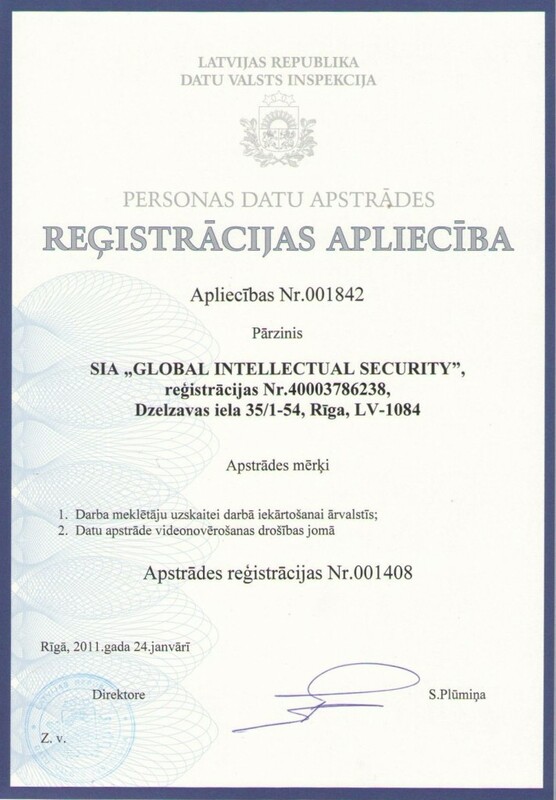 That is fully materially responsible client`s loss, caused by our fault. 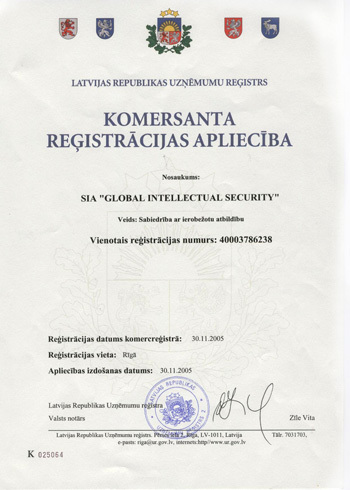 The company pays the amount of the loss from its own funds without waiting for the insurance payment. 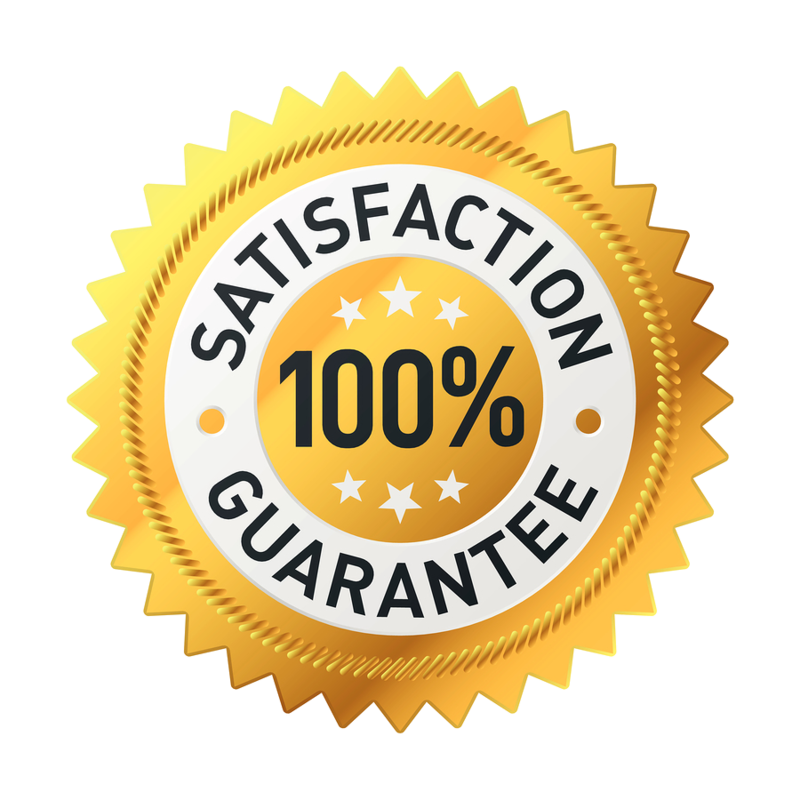 The insurance amount of 750 000 Eur allows us to cover any client`s loss, that is also specified in the contract and gives our customers more sense of safety and reliability than in other security companies. 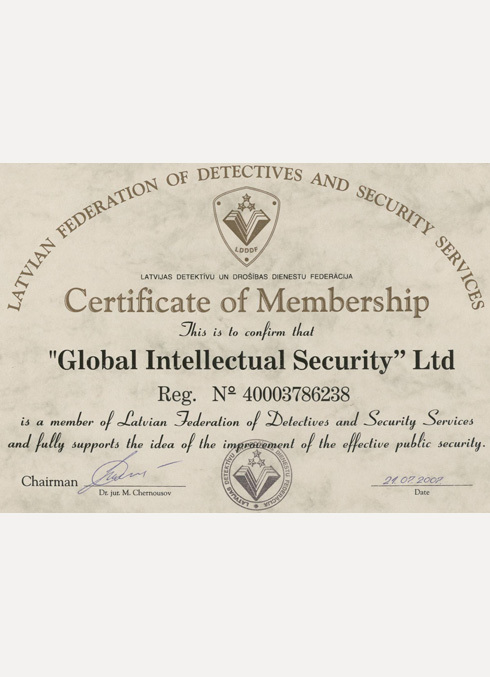 Our customers can be called double protected, by buying the security complex of the “Global Intellectual security”, they are also getting insured.